Head Coach of French side, Nantes, Michel Der Zakarian is set to leave the club during the summer after being with the club for four years. The French club confirmed on Monday, after reports had circulated about the club’s departure. Der Zakarian stated his intention to leave the club following Nantes’ 1-1 draw with struggling Marseille on over the weekend. The club released an official statement on Monday confirming the departure of the 53-year-old Armenia. 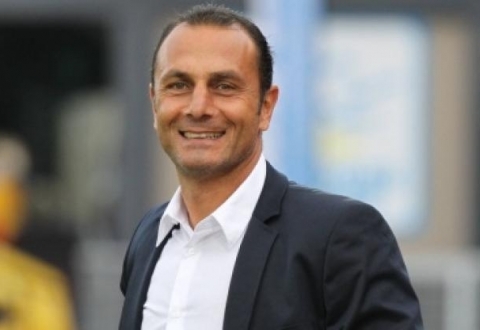 “After the match in Marseille that saw his team to a 1-1 draw against Marseille, Michel Der Zakarian, out of contract, announced his decision not to lead FC Nantes at the end of the season. Der Zakarian is currently in his second spell with Les Canaris. Following three seasons in charge of Clermont, the coach returned to Stade de la Beaujoire in 2012 and has guided them to 10th place in the Ligue 1 standings with just three games to go in the current campaign. The coach told reporters that he is leaving the French side. “I’m at the end of my contract. I’d like to make it perfectly clear: I will not be the coach of FC Nantes next season. “I no longer wish to work with Mr Kita. I have had no response from my directors so I’ve taken the decision to no longer be the coach at Nantes. “I’m very happy with the work I have done with my staff; very happy to have brought the club back to Ligue 1 and to have kept us there for three seasons in a row.